I hope you’re enjoying Bewildered Dad, I reckon it’s pretty good but it’s missing one big thing…you! Not that I’m calling you a ‘big thing’ of course…unless you like that sort of thing. Anyway, what I’m trying to say is that I’d love you to get in contact. 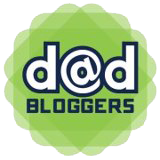 This is a site for Dads so I want feedback from Dads; I want to hear your stories, ideas, suggestions, jokes – pretty much anything really. What does this site need? You do the hard work for me, essentially. I’d also like to hear from non-Dads too – the more the merrier! Anything you want to tell me about the site…just shout. This is also a very good way to get in contact if you are looking to feature Bewildered Dad in some kind of press article or if you want to work on a project together. Ideas for features are more than welcome whether you want to write them or you’d like me to. Just fill in the form below and I’ll get back to you as soon as possible. Thanks!